Musky and sweet … The rich aroma of fresh sage in mum’s garden this morning….. It has been a windy week, the clouds lurking in the sky with short spells of heavy rainfall. The winter season is short and I am longing for the sun to make an appearance this week and hope for a sunny, cool and crisp Christmas. The sun makes me happy and on this island I am guaranteed rays of sunshine in my life. 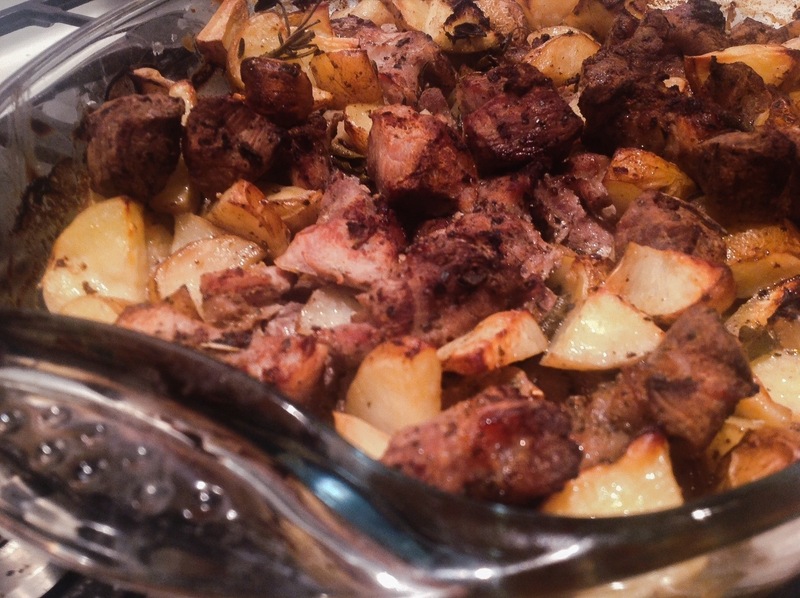 I am preparing a comforting all-in-one simple and easy Souvlaki bake for supper tonight. It is a great wholesome and quick weekday meal. The secret is to marinate the pork in yoghurt as it tenderizes the meat and even if it becomes crispy in the outside, you will find that it remains moist and juicy inside. I am a big fan of yoghurt as an ingredient and for this recipe I am using local yoghurt rather than the Greek variety that I also use a lot. The yoghurt produced on this island has a much lighter texture and taste yet still retains the creaminess and has a distinct tang that I love. ovenproof one straight away. 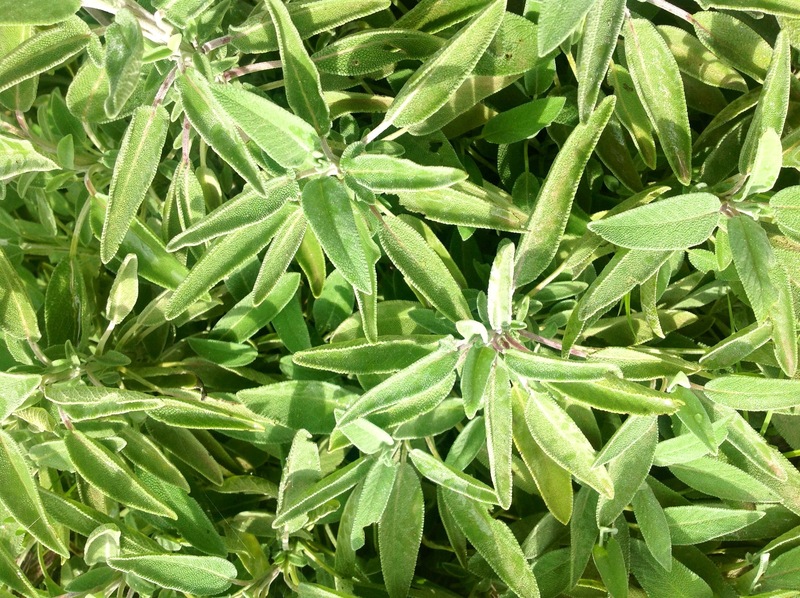 Season with salt and pepper and cut up some sage leaves, dont use a knife byr break them up manuallly. Cover with plastic wrap and refrigerate overnight. Take out of fridge the next day and add as many potatoes as you desire. mix evenly, drizzle with olive oil and bake in a hot oven 180C for around 45 minutes. Cover with foil for the first 20 minutes then uncover. test that the potatoes are fully cooked before you take them out. Leave to rest for 5 minutes and serve immediately.